HAHA! Yes, finally, the barrier has been hurdled, the battle won, the army conquered, and I am victorious. Yes despite my bit of a pitfall (see my last post) I am finally on the road, legally of course, and it feels so good. Naturally the next thing to do, to start of my automotive career right is to modify. In Europe, people are content with boring stock cars, no mods, no uniqueness, just colorless uniformity. That is what makes America’s passion for automobiles great. Any French hairstylist can go out and by a Merc or a Bimmer, but here in America its pretty fun when some rednecks from Kentucky plop 1000 horsepower in some gigantic mustang. Things that make us different, we want to be faster, we want to corner better, we want to look cooler, we want to be more comfortable, even we want to bounce up and down on 50 inch solid gold rims with neon lights underneath. That’s what makes American gear heads great and different from “petrol heads” or any other enthusiast who drives on the wrong side of the road, as vulgar as we may be sometimes. So my inclination as a newly licensed American gear headed driver was to modify my own ride. When it’s all said and done, this is what I am hoping the end product will look like. Having gotten my license on the 21st of december I was out of money much before Christmas and had to call on old saint nick for some financial aid. I received I grill guard that I intend to put auxiliary lights on and a trailer hitch so I can tow things because towing things is cool. 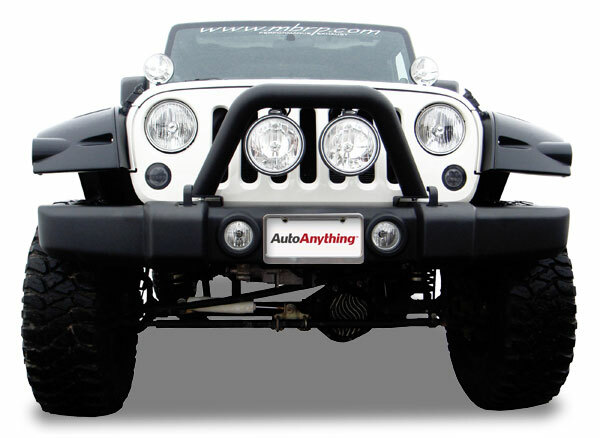 The grill guard will be the first major operation on my Jeep so it will more than likely be documented with the intention of posting it to this blog. The trailer hitch is really not for aesthetics and won’t really separate me from the large crowd of Jeep owners, I personally feel that the ability to tow things like trailers and such is not a bad ability to have. It’s not very “cary” but it will also allow me to transport my snowboard, mountain bike, and dirt bike with ease through various attachments. The winter is really against me in these matters. It’s cold, and as much as I love cars, I’m not getting frostbite for mine, especially because that will probably limit my driving ability. That being said I am quite eager for to get to work so I can make my fellow American motorist’s proud. December is finally here, well it will be on saturday. December is the greatest of months. You have the Maccabees, and the jewish festival of lights, we celebrate the african harvest festival, we remember the birth of christ, and last but not least we experience the celebration of the anniversary of the birth of yours truly. Now, obviously I could go any way with an introduction like this. I could go on and on about about how I wish Ferraris had the fuel efficiency of a Menorah, I could question what kind of car Jesus would drive upon his return, I could even tell you about the most popular car in Africa, but I have chosen a different route with this post, one that has to do, with me. What the 16th anniversary of a birth means in the state of Ohio is that a person who has completed the following rather unnecessary list of tasks is eligible to test for their drivers license: 6 months ownership of temporary permit; six 4-hour driving school classes; four 2-hour in car lessons with instructor, 50 recorded and notarized hours of driving with a parent. I am one of those people and come my birth’s anniversary, I will be testing for my license. Two days after my birthday, that is. Unfortunately that is the soonest as possible, as well as very far away. Butler county to be specific so desptie missing school, I may be waking up earlier. That there is the conflict, its my air boot, but I believe that I have defeated it. from Taylor–who had obviously read this blog–went for my clutch foot, so he could prevent my ability to drive my manual Jeep. Despite my broken ankle, my magnificent doctor, Dr. Langendurfer, has decided that a air-boot cast is the way to heal this injury. The boot is compact, sleek, stylish, and mobile. It can work a clutch, possibly with more ease than my foot can by itself, because in the boot I do not need to use the muscles in the lower half of my leg. So seeing as Taylor and the state of Ohio have been defeated, now the only thing to lie in the path to my license is time itself, and when I have defeated that, well, watch out road-goers, there is a new kid behind the wheel. My buddy and his loud coat drive around adultless with me for the first time. there are so many questions that still need to be answered: Where will I drive? Where will I go? What will I do? Will I accomplish anything? What will I listen to? The preparation for the first drive is very important. Recently my best buddy finally obtained his license. He told me he chose some of the back country roads was the first choice focusing purely on driving (no music). He was a lucky guy, his car of choice was his fathers BMW M3 and on a windy country road god knows how good of a drive he had. He came to pick me up and as we sped away he yelled at the top of his lungs “DESIRE!!!! !” while smashing the accelerator onto the floor of the car. 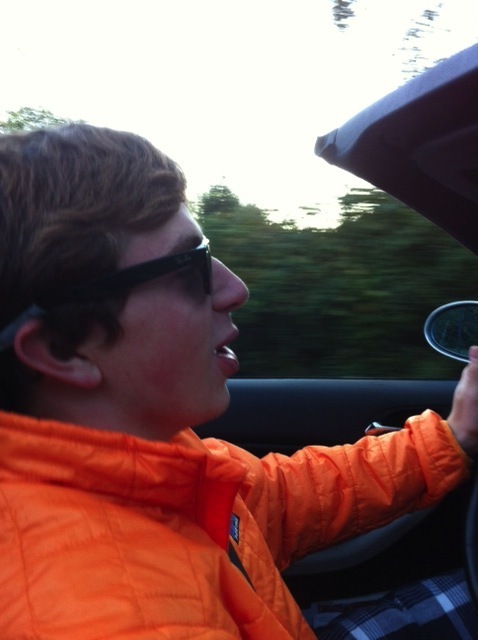 Its october, we were driving a convertible, it was cold, I was cold for I wasn’t a wearing a coat, but it didn’t matter. Something about taking the steps to freedom, the open road, a great car, made it all ok. I just hope when the day comes for me, I’m prepared.